Dr. Joseph Kendrick, known affectionately as Papa Joe, is the owner and founder of the Asheville Highway Animal Hospital. Dr. Joe is a graduate of Knoxville College with a B.S. 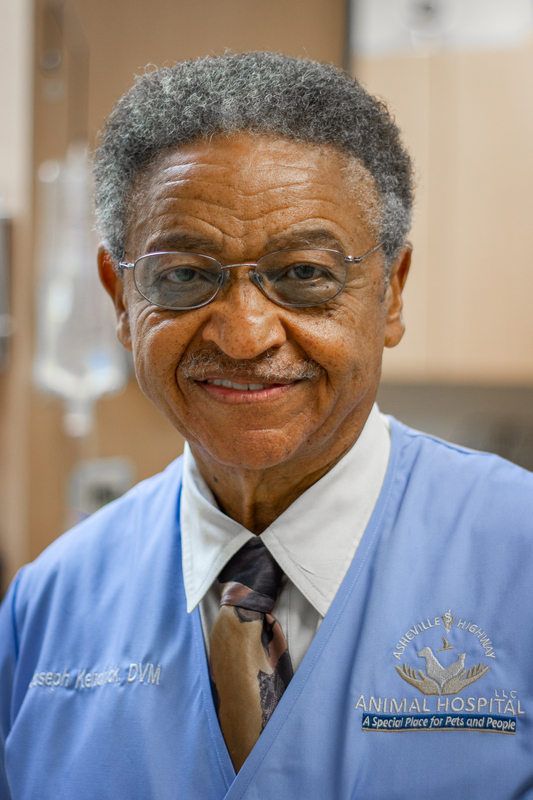 in Biology and Chemistry and a graduate of Tuskegee University School of Veterinary Medicine. He began practicing his dream in an 1800 square-foot facility that he opened in 1979. 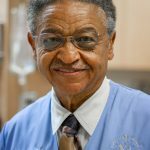 Devoted to the principle of offering top-quality medicine at an affordable price as well as treating every client with respect, he soon developed a loyal clientele. Dr. Joe was married to his wife, the late Gloria Kendrick, for over 50 years and enjoys spending time with his grandchildren, fishing, and teaching others how to better themselves. Asheville Highway Animal Hospital, LLC.